Chronic alcohol drinking can damage the central nervous system via many mechanisms. One of these may involve a deficiency of an essential nutrient, thiamine, as a result of chronic alcohol exposure. Although thiamine deficiency (TD) has often been linked to the neuropathology of alcohol-related brain damage, the underlying mechanisms remain to be investigated. The crossed high alcohol preferring (cHAP) mice prefer alcohol to water when they have free access. In this study, we used cHAP mice to determine the effect of chronic voluntary alcohol exposure on thiamine levels and neuropathological changes in the brain. The male cHAP mice were given free-choice access to 10% ethanol (EtOH) and water for 7 months, sacrificed, and thiamine concentrations in the blood plasma and brain were determined by liquid chromatography–mass spectrometry (LC-MS). The expression of thiamine transporters was examined by immunoblotting. In addition, oxidative stress, endoplasmic reticulum (ER) stress, active caspase-3–dependent apoptosis, and neurogenesis in the brain were evaluated. 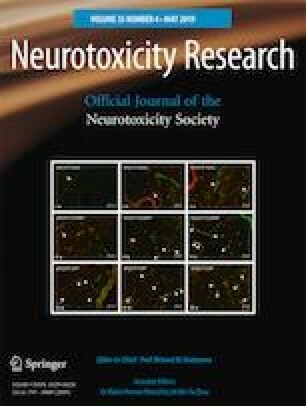 The results indicated that chronic alcohol exposure decreased thiamine levels and thiamine transporters, and increased oxidative stress, ER stress, and neuronal apoptosis in the brains. Interestingly, alcohol exposure also stimulated neurogenesis in the hippocampus which may serve as a compensatory mechanism in response to alcohol-induced brain damage. Our data have demonstrated that cHAP mice are a useful model to study the interaction between chronic alcohol consumption and TD, as well as TD’s contributions to the neuropathological processes resulting in alcohol-related brain damage. This research is supported by the Department of Veterans Affairs, Veterans Health Administration, Office of Research and Development [Biomedical Laboratory Research and Development: Merit Review (BX001721)] to Jia Luo. It is also supported in part by grants from the National Institutes of Health (NIH) (AA017226 and AA015407) to Jia Luo. Provision of cHAP mice was supported by the NIH grant AA015512 to Dr. Richard Bell at the Indiana University-Purdue University Indianapolis. All experimental procedures were approved by the Institutional Animal Care and Use Committee (IACUC) at the University of Kentucky.